Pictures of Mexico - Gray Whales - Eschrichtius Robustus, Baja California - Mexico. 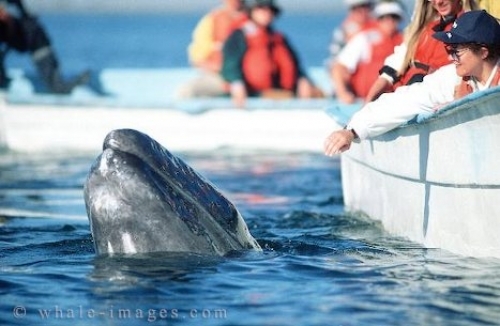 Baja is becoming more renowned as being a tourist destination, helped by the human friendly and curious gray whales. You can get eye to eye with these beautiful creatures as depicted in these pictures of mexico, and tours are offered for as long as 12 days which include possible encounters with the gray whales. Check out more pictures of Mexico and in particular Baja, California. Picture of a Gray Whale with a tourist boat around off the Mexico coast.